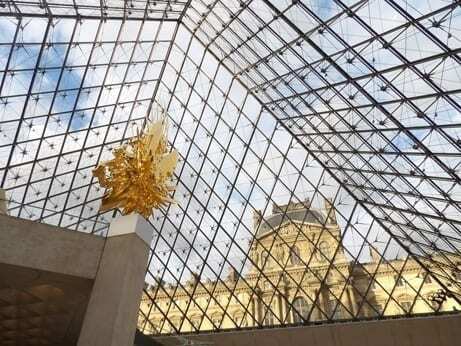 For three months the “Louvre” welcomes Marquis Campana and the masterpieces of his incredible art collection. To indulge his passion for arts the Marquis sacrificed everything including his fortune, his reputation and his own freedom. This unique exhibition ” A Dream of Italy” that begins in Paris will travel to Rome for spring and to Saint Petersburg for summer. For the very first time since Marquis Campana’s collection was dispersed in 1861, this unique exhibition allows us to get an understanding of what had been the most ambitious private collection of the 19th century. Marquis Campana was not only a compulsive collector he also was a true aesthete and looked only for the very best pieces. 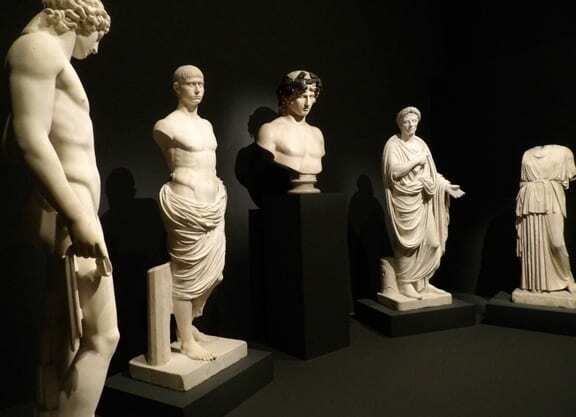 Over the years he gathered over 12,000 objects from archaeological artefacts to paintings of all periods, from antique statues and jewels to modern sculptures, from Mediterranean to Asian arts. Giampetro Campana was born in 1808. Like his grandfather and father before him he was appointed director of the Rome credit bank in 1833. This allowed him to move in the Roman and international high society where he met his future wife, a young British lady, Emily Rowles. In the same years he started several campaigns of archaeological excavations. By 1838, Campana was only 30 at that time, his collection was already famous throughout Europe and considered as the richest and most varied collection of the time. 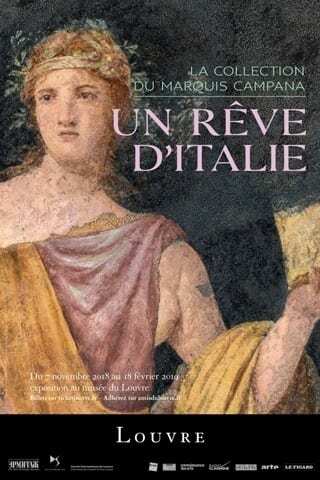 Until Campana’s sensational fall in 1857 educated people from the whole world came to Rome to visit his collections that he exhibited in several Roman palaces and houses especially bought for this purpose. As an archaeologist Campana made major discoveries. He carried out excavations in ancient Etruscan cities such as Veies and Cerveteri. 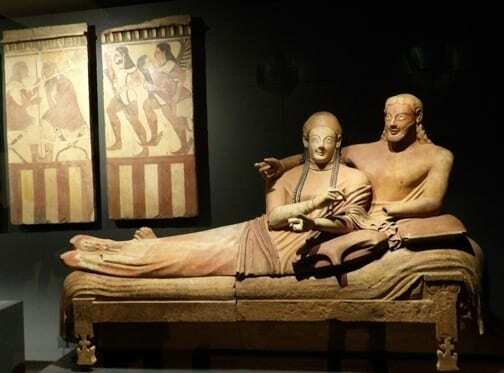 Thanks or due to a lax legislation he was able to appropriate many masterpieces such as the Sarcophagus of the Spouses from the Banditaccia Necropolis of the 6th century BC that can be seen in the Louvre. 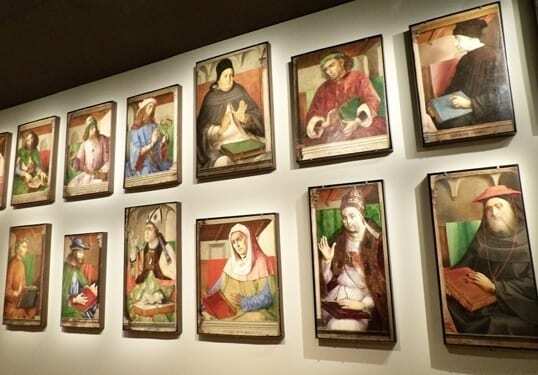 He also bought thousands of objets d’art all over Italy giving his collection a political aspect. At that time Italy still was a patchwork of independent states and many Italians dreamt of a great Italian Unification. Campana’s collection was seen as a symbol of this unity by gathering all aspects of Italian genius. After Campana’s fall his collection was dispersed between Russia, Great Britain and France. The South Kensington Museum that is today the “Albert and Victoria Museum” bought 84 majolicas and Italian Renaissance sculptures. Alexander II tsar of Russia bought 777 antique artefacts. Most of them now belong to the Hermitage Museum in Saint Petersburg. 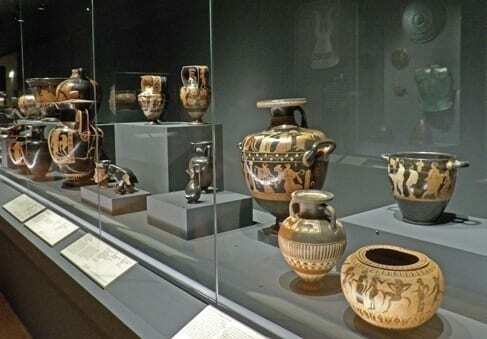 On behalf of France Napoleon III bought the 11,835 remaining objets d’art, including Greek and Roman antique artefacts, paintings, sculptures, … Acquiring this collection allowed the Louvre Museum to become one of the most important museums in the world. 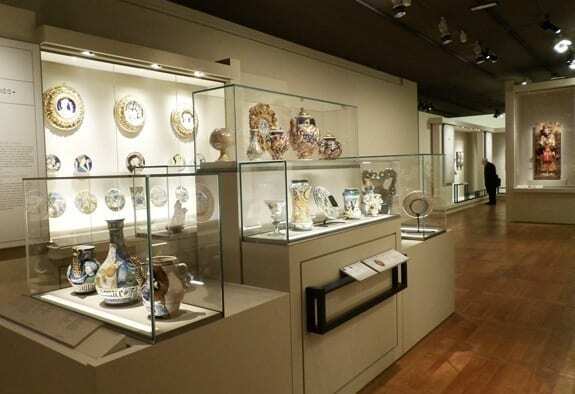 The present exhibition displays over 500 works including major masterpieces of our common heritage. It also allows us to rediscover a unique man caught up in his passion for art and beauty that consumed him. He nevertheless left us a tremendous legacy. 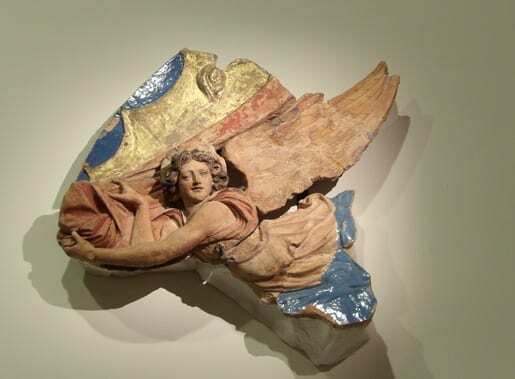 Thanks to loans from the Hermitage Museum, the “Petit Palais” Museum in Avignon, the Louvre and several other French and Italian museums, we can understand today the extend of this extraordinary collection.